I love a good fishing shirt. My ideal shirt has UPF 50+, is soft with no seams that rub, no buttons, and has to be a long sleeve. If it’s got a cool design, that really adds to the appeal. A couple of months ago as I was discarding another delaminated fishing shirt I came across Salty Scales. 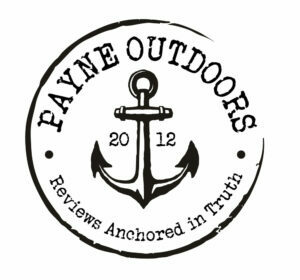 They have apparel for men and women while appearing to meet my requirements for things I look for in a fishing shirt. I placed an order for a couple of shirts and a hat and three days later, I had my new gear. When I envisioned the Salty Scales apparel line, I saw a prosperous brand that symbolically stood for strength, America and GOD. We strive to create a line of apparel that will withstand the elements, while protecting the consumer and being proudly made here in the U.S.A. The trademark scale design was inspired by the ancient warriors in various cultures, they used fish scale amour to protect vital organs from injury in combat.The UPF 50 microfiber shirts merit a similar protection, because they protect you from harmful UV radiation and ultimately cancer. 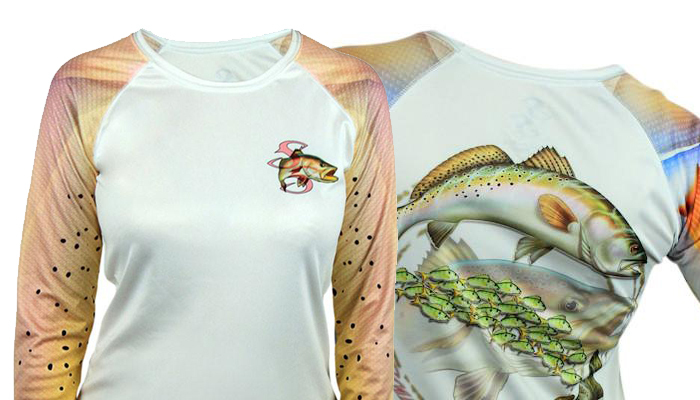 Salty Scales fishing shirts are UPF 50, long sleeved and really soft. When I say soft I mean it’s the softest outdoor shirt I own. Why is that important? When it’s hot outside and you sweat, any rough fabric or seams will cause heat rash and potentially a contact dermatitis especially if you are like me and wear your PFD at all times. That and frankly, I’m old enough that comfort is becoming more and more of a factor in clothing choices. 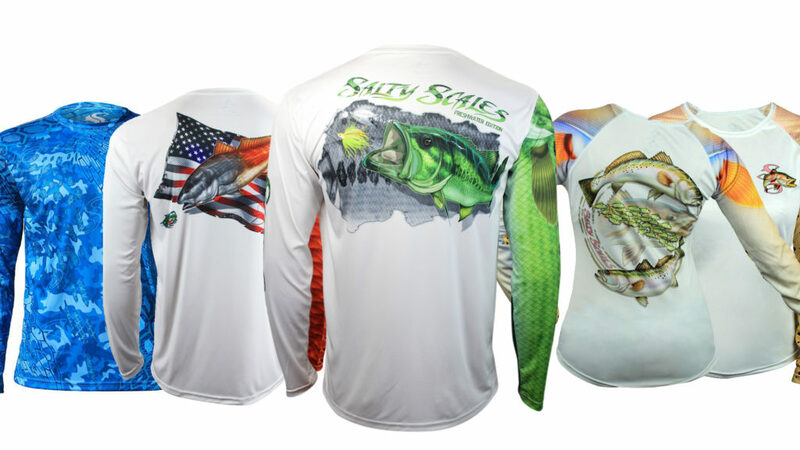 The designs are great and I love the fact that Salty Scales has a freshwater edition shirt available for those of us chasing green ditch pickles. If you prefer the channel bass, they have two types of redfish designs as well. In fact, they have 16 designs available in just the Men’s selections. 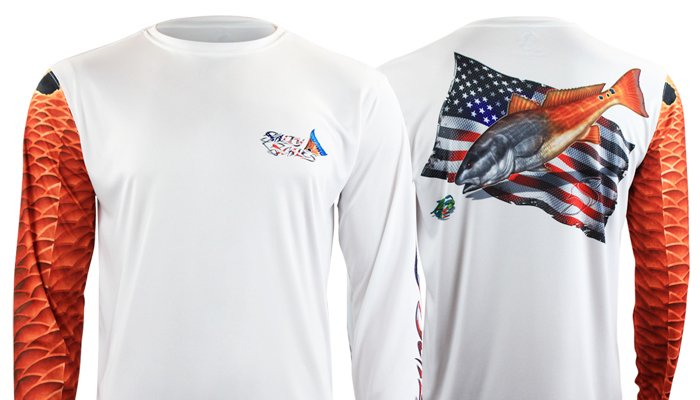 This is a shirt that if you want to tell the world, “I love to fish!” will deliver the message loud and proud. Heck, I wear mine when I’m fishing, hiking, really anything where I want some sun protection. 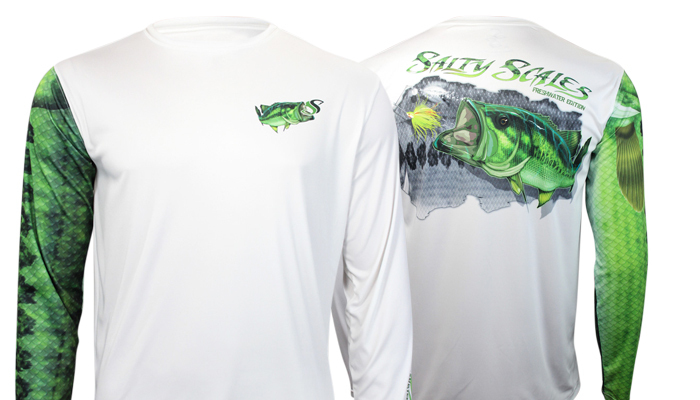 The Salty Scales shirts are moisture wicking and also stain resistant. Don’t misunderstand that phrasing as saying stain proof. If you get a bleeder in the boat and it hits that white, it may not come all the way out. I have had good luck with dirt, mud, and slime coming out with no issues. That’s good considering I’m usually a disaster waiting to happen in a white shirt. 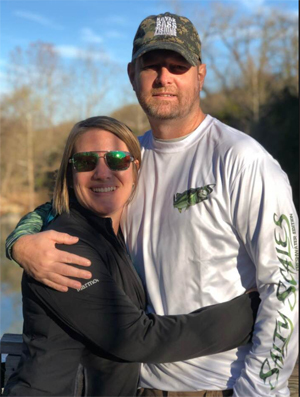 If you need hats, visors, gaiters, hoodies, or even a koozie, Salty Scales offers all those in their online store as well. A pretty cool design I’m looking at for spring fishing is this one: The Texas Slam! I’d really like to see some development in the Cycloid Camo and black shirt lines. Salty Scales currently offers one of each. For folks like myself who need to hide stains a little better a black-based shirt with a bass pattern called “Night Bass” or something like that would be awesome. I’d also like to see the Cycloid Camo in a green and orange blend for the times I’m fishing during hunting season. I’d also like a hoodie option without the scale print on the hood or pocket. Just a solid color hood with the sleeve options and then a plain pocket option seems a little less dress up like a fish and more like I like fishing, just don’t want to be Billy Bigmouth Bass. It’s picky because I know some folks will like the alternating. Maybe a full-on, complete patterned hoodie would look less patchwork. If the scales could become the camo pattern that would be pretty cool. Frankly, the bass pattern is my new favorite fishing shirt. My other branded ones kept delaminating with their vinyl iron ons. Nothing like having to rebuy a $50 shirt every three months to make you look elsewhere. I also love that Salty Scales is considering women anglers as well. The Captain is on to something with this series and I really dig it! No vinyl iron ons, cool patterns to satisfy the saltwater and freshwater folks and even a nod to my home state of Texas.